The GMP Inspectorate works closely with the Clinical Trials Unit (CTU) at MHRA and regularly provides support to help answer a wide range of stakeholder queries which relate to the manufacture, import, labelling, licensing requirements and general handling of Investigational Medicinal Products (IMPs). My name is Alan Moon and I’ve been a GMDP inspector at MHRA since July 2013. Part of my role is to perform inspections of organisations that hold Manufacturer’s Authorisations for IMPs (MIA(IMP)) and I also regularly liaise with CTU and Good Clinical Practice (GCP) colleagues on IMP aspects. In this post you’ll find a series of ‘frequently asked questions’ and general answers to these. You may notice that these are very much based on the information that was previously provided on the MHRA website as much of the interpretation has not changed significantly. The information has been reviewed and updated where appropriate with some additional Q&A’s added. Reconstitution is not mixing several ingredients, including the active substance, together to produce the investigational medicinal product. An investigational medicinal product must exist before a process can be defined as reconstitution. The process of reconstitution has to be undertaken as soon as practicable before administration. This process has to be defined in the clinical trial application / IMP dossier and clinical trial protocol, or related document, available at the site. So what does this mean? Well, a ‘simple process’ means just that. Dissolving or dispersing the IMP in a diluent immediately prior to administration or diluting with a vehicle for administration (commonly water for injection, saline, glucose – perhaps in an IV bag) would most likely be considered reconstitution activities. 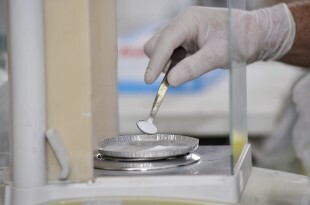 Measuring or weighing out quantities of several materials to be combined in a defined sequence or with a specified mixing time that perhaps includes some in-process testing to confirm details such as concentration or pH, sterile filtration into another container and integrity testing of the filters prior to making a release decision would all be considered manufacture, must therefore be conducted at a facility that holds an MIA(IMP) and must be certified by a Qualified Person prior to release to the Sponsor for use in a clinical trial. Scenarios are considered on a case by case basis – if in doubt ask us via the CTU helpline (details provided below). Our interpretation of ‘as soon as practicable before administration’ is ideally at the bedside, however it may be acceptable for the activities to be performed in the clinic’s pharmacy. For example if the IMP reconstitution requires added protection while diluting into an IV bag this may need to be performed in a clean area such as a laminar air flow cabinet. Preparation of the IMP to be subsequently stored for use at a later date would not be considered reconstitution. I hope that you find the following Q&A’s helpful. If you have any further queries relating to clinical trials, please continue to send these to the Clinical Trial Helpline. My investigational medicinal product (IMP) unit is engaged upon reconstituting sterile injections and then giving them to the clinical trial subjects. What licence, if any, do I need? A simple reconstitution or dilution (including serial dilution) of an IMP including a sterile injection for the purpose of administration falls outside the definition of manufacture and so no Manufacturer’s Authorisation for Investigational Medicinal Products (MIA(IMP)) would be needed. It is also permissible without an MIA(IMP) to label them after reconstitution with an identifier to ensure that the dose goes to the correct subject. See also Q23 for further information. The reconstitution we are carrying out involves the addition of another material as well as the diluent. Does this still fall outside the definition of manufacture? No. This would fall within the scope of manufacture. Any operation such as weighing out, adding other materials, or combining IMPs is not considered to be for the purposes of administration and so would require appropriate authorisation under a MIA(IMP). This situation is potentially complicated and should be considered on a case by case basis by the MHRA. I know that small quantities of medicinal products can be manufactured and labelled by my local hospital with no licence at all as long as it is done by a pharmacist. Why is a hospital required to hold an MIA(IMP) authorisation to conduct a similar activity for IMPs? The Human Medicines Regulations 2012 applies to therapeutic doses. In this legislation there are some exemptions from the need for a manufacturing licence such as the 'Section 10' exemption which can be invoked here. There is no such exemption for the manufacture of IMPs. So, the manufacture of even one dose for immediate use requires an MIA(IMP) authorisation and Qualified Person (QP) certification. Does this mean that all such manufactured IMPs need to be analytically tested before they can be certified, even if the quantity is very small? Yes. The analytical requirements should be agreed with the Clinical Trials Unit (CTU) via the clinical trials application (CTA). If an activity defined as manufacture takes place (see above) then the resultant IMPs should be tested to confirm that the specification submitted in the CTA is met. There may be exceptions for certain types of products, e.g. ATIMPs or radiolabelled IMPs where testing may not be performed prior to release, however the associated rationale should be documented and agreed by CTU in advance. Does the release testing for my IMP need to be carried out in a GMP-certified laboratory? Yes, it would be expected that the analysis would be performed in a GMP-compliant laboratory. Testing in support of certification and release is considered part of manufacturing and therefore compliance with GMP is expected. For an IMP, the certifying QP may rely on the results of analysis from a non-EU laboratory and not repeat testing on import to the EU, however they must assure themselves that the laboratory is compliant with EU GMP as part of the process of supply chain assurance and issuance of the QP Declaration for import. Paragraph 8 in Part 2, Schedule 7 of the Clinical Trial Regulations requires the manufacturing authorisation holder to keep samples of each batch of formulated products readily available for examination. There should be enough finished packs for testing in duplicate. As IMPs are often small packing runs from one bulk batch, Annex 19 accepts a justification for retaining the required sample quantity of the bulk batch and separate samples of packaging components used on each packing run. The sample of the bulk batch should be in the final primary pack in order to be representative of the materials going on to be used. The requirements are detailed in Annex 13; paragraphs 36 and 37. 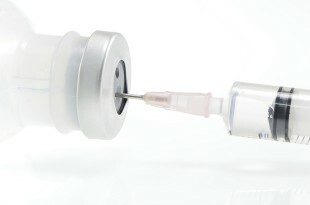 Samples of IMPs used in EEA clinical trials should be stored within the EEA or an MRA country unless suitably justified and defined in a technical agreement between the sponsor, importer and third country manufacturer (cost of the IMP would not be considered an acceptable justification). We have a contract to supply the local hospital with 'Specials' and IMPs. We are even located within a hospital site. We need to employ a QP at great expense just to certify the IMPs. We have never needed one for the specials. Why? 'Specials' are unlicensed medicines which are manufactured under a manufacturer’s specials licence (MS) for a special clinical need and are under the responsibility of the prescribing doctor. There is no requirement for QP certification. IMPs are governed by different legislation (The medicines for Human Use (Clinical Trials) Regulation 2004 as amended [SI 2004 1031]). IMPs are not 'Specials'. A clinical trial authorisation application including a description of the IMPs has to have been submitted to the MHRA. When granted a QP certification against that clinical trial authorisation is required. I work in a clinical trials unit situated in my local hospital. We have an MIA(IMP) and carry out assembly of IMPs for immediate use within the unit. However, the hospital production unit itself assembles IMPs and doesn’t have a MIA(IMP). Is this permissible? Section 37 of the UK Clinical Trials Legislation contains a specific exemption which is relevant here. This provides an exemption from the need for a hospital or health centre to hold a MIA(IMP) authorisation to assemble an IMP in a hospital or health centre, when the 'assembly' is carried out by a doctor or pharmacist, or under the supervision of a pharmacist. 'Assembly' is related to packaging and labelling only and not to the preparation of medicines from their ingredients. The exemption applies only if the product is to be used exclusively in that hospital or health centre or any other that is a trial site for the same clinical trial in which the product is to be used. This exemption does not apply to anyone else such as separate organisations which happen to be situated within a hospital or to companies which have a contract to supply hospitals or health centres. We perform over encapsulation of tablets in order to blind them. Capsules are containers so this counts as packaging doesn’t it? No. Capsules are specifically excluded from the definition of a container in the Clinical Trials Regulations SI 2004 1031. An MIA(IMP) with 'capsule manufacture' authorised would be necessary in this case. We are a firm of respected pharmaceutical consultants some of whom are QPs. We do a lot of contract regulatory and auditing work for companies involved in clinical trials and the manufacture of IMPs. Can we have a MIA(IMP) so that we can perform IMP certification for our clients? No. An organisation cannot act as a contract batch certification site only. The sponsors of a clinical trial may wish to keep the final QP certification step of IMP manufacture in house as they carry ultimate responsibility for the trial. Otherwise, any contract organisation such as yours must be involved with some manufacturing or importation of an IMP if they wish to carry out batch certification. We wish to enter the business of storing and distributing IMPs. What licences do we need if any? There is no requirement within the legislation for any MHRA licence to carry out storage and distribution of IMPs. In this respect, the legislation differs from that for medicinal products. However, you will need to be named within the appropriate annex of your client’s MIA(IMP) as a site of storage and distribution. Therefore any clients who wish to make use of your services will need to vary their MIA(IMP) accordingly. Note that the storage and distribution of a licensed medicinal product must remain in the licensed distribution chain until it is supplied to the Sponsor for use in a trial. We prepare radio-imaging pharmaceuticals from licenced kits and Technetium generators for use in clinical trials. Do we need an MIA(IMP)? (c) used to gain further information about the form of that product as authorised under the authorization (Article 2). However, it may be that the radiopharmaceutical used in a clinical trial may not be an IMP. There are classes of products used in clinical trials which are 'not IMPs' (NIMPs) and details of the definitions can be found in Eudralex Volume 10 on Clinical Trials (external link). NIMPs include challenge agents, rescue medication, agents used to assess end points and others. Clinical trial legislation does not apply to these as long as a), b) and c) don’t apply. Further information relating to NIMPs is included in Q18 and Q25. We manufacture tablets used for IMPs and some of these contain penicillins or other beta-lactams. Does the MHRA need to know about such manufacture? The MHRA does need to know about such manufacture which brings with it special GMP considerations (the manufacture of doses containing potent Active Pharmaceutical Ingredients (APIs) would be another example). Please include the relevant information in the application form describing such manufacture. In addition, details of the active materials / product types handled within your facility are requested as part of the pre-inspection compliance report and cross-contamination prevention is a focus of inspections following the revisions to EU GMP chapters 3 and 5. We manufacture IMPs purely for export to countries outside the EEA. Do we need a MIA(IMP)? Yes. An MIA(IMP) licence is required for the manufacture on an IMP regardless of whether the IMP is for use in the UK, another EEA Member State or a non-EEA Member State (Third Country). What is the regulatory situation with respect to veterinary clinical trials and IMPs? The Veterinary Medicines Directorate (VMD) is responsible for such regulatory issues and contact details are available on the VMD Website. What happens if there is an adverse event during a clinical trial and the possibility of a recall or product defect of IMPs? You should inform the Defective Medicines Report Centre (DMRC) at the MHRA as you would for a medicinal product. It will also be necessary to inform the Clinical Trials Unit (CTU) at the MHRA. The Clinical Trial Regulations make provision for notification of adverse events and notification of suspected unexpected serious adverse reactions. Further guidance for handling investigations into possible product defects and product recall actions is detailed in Chapter 8 of the EU GMP Guide (Eudralex Vol 4). What sites should appear on the QP declarations relating to IMP manufacture in third countries which accompany CT applications? All sites involved in manufacturing steps starting with the conversion of the API into the dosage form and including primary and secondary packing and also any contract laboratories involved with release or stability testing. A guidance template for the information that should be included on the QP Declaration is provided in Eudralex Vol 10 Chapter III. We need to import some IMPs from a manufacturing site in the USA. The site has had an inspection by an EU Competent Authority a few months ago. Does this mean that I don’t need to go out there to do another audit myself before I sign the QP Declaration of GMP compliance? No. The starting point for a QP declaration of EU GMP should be an audit conducted by or on behalf of the importing company. Any departure from this should be justified and documented and will be subject to scrutiny during an MHRA inspection. It may be possible to use the fact of a regulatory inspection by an EU Competent Authority as part of this justification but these are general inspections which may not address the specific technical or GMP issues associated with your product. It may not even have covered the same factory or part of the factory. A regulatory inspection cannot be used unconditionally to remove the need for your own audit. The audit does not need to be done by the QP, however the QP needs to be satisfied that it has been done correctly by an appropriately trained individual as the QP will be taking final responsibility. We also intend to use some IMPs that were manufactured at a site in Switzerland. Do we need to include a QP import declaration with the CTA submission? This will have been certified by a Swiss RP so does this also require certification by an EU QP? Although there is a Mutual Recognition Agreement (MRA) between the EU and Switzerland, it remains a third country therefore the IMP would need to be imported into the EU by an MIA(IMP) holder. As such, a QP Declaration of EU GMP compliance would need to be included as part of the CTA for each site outside the EU and the IMP would need to be certified by a QP upon import prior to release for use in the clinical trial. We import an IMP for a clinical trial which has just been halted for ethical reasons. We need to continue to supply the IMP as a therapy to patients who were on the trial. What is the regulatory situation here? Once a trial has stopped, the product ceases to be an IMP and becomes a medicinal product. If it is a licenced medicinal product then it can be purchased and supplied as normal. However, more often than not, the ex-IMP will not be licenced. Material already existing as an IMP can be supplied after the trial but any fresh material must be imported as an unlicensed medicinal product. A manufacturer’s 'specials' licence must be held. Also, the requirements of SI 2005/2789 must be complied with. Essentially, the MHRA must be notified of this importation beforehand to ensure that it can be justified. It is likely that such a need as described above would justify continued importation. Are QP statements required for APIs used in IMPs? There is no requirement for APIs used in IMPs to comply with EU GMP Part II but there remains a responsibility for IMP manufacturers to assure themselves that the API is of an appropriate quality. The EMA has published a Q&A concerning the GMP status of APIs used in IMPs. What is the regulatory situation for the importation of NIMPs into the UK? As such products are not IMPs, then the general requirements relating to medicinal products come into force, in particular the need for a Marketing Authorisation under the Human Medicines Regulations 2012. Where a medicinal product is not the subject of a valid Marketing Authorisation, there are limited options for its supply in the UK and as such the process for the supply of an unlicensed product provides a means of actually getting the NIMP into the UK for use in a clinical trial. The framework described in Guidance Note 14 is seen as an appropriate means of giving the legal method for the sponsor to actually obtain the NIMP, otherwise there would be no legal basis for supply. Further information on the importation of unlicensed medicines is available on the MHRA website: Supply of unlicensed medicinal products . We have got some more stability information on our IMP and wish to extend the shelf life. What do we do? Firstly, the Clinical Trials Unit (CTU) at the MHRA would need to be informed via a variation to the CTA. Extension of shelf life represents a substantial amendment, unless you have previous agreement to extend the shelf life when more stability information becomes available. Secondly, the Product Specification File (PSF) would need to undergo a controlled change such that manufacturing sites and the QPs can take appropriate action such as updating labelling instructions, certification criteria etc. Thirdly, if advantage of the longer shelf life is to be taken for IMPs already manufactured, these IMPs will need to be relabelled. This relabeling will need to be conducted, checked and documented as per Annex 13 (see also the following question). Some of our stock has already gone out. Do we need to bring it back to the site with the MIA(IMP) to be relabelled with the new shelf life? No. Although this would be preferable, it is recognised that this shipping backwards and forwards could cause more GMP problems than it solves. It is permissible in these circumstances for the relabeling to be done at the clinical site. The certifying QP should certainly be aware of this and be involved in setting up the required GMP systems. The relabeling should be done by knowledgeable staff, documented, and the records stored in the original trial file. We have the stability data and necessary regulatory approval to extend the shelf life of our product and fully intend to include this new date for the next campaign of product. We have some remaining stock from a batch of IMP that we would like to continue to use in the ongoing trial however it is frozen material and therefore difficult to perform the relabelling activities. Can we continue to use the product past the labelled expiry date as long as we have the relevant information available to clinic staff? Unfortunately this approach is not acceptable and the label should include the correct expiry date in order to be compliant with EU GMP and Annex 13 requirements. Any additional handling or cumulative time out of storage for the relabelling should also be considered in line with the available stability data and this should be appropriately documented within the associated records. If an IMP has a shelf life extension after QP certification and is consequently relabelled with a revised expiry date, is a further QP certification required? A new certification after relabeling is required for stock which has not been shipped to an investigator site. For product held at the investigation site, QP certification is not required if the relabeling activity is carried out by, or under the supervision of a pharmacist, or other healthcare professional, with appropriate documented evidence in accordance with Paragraphs 33 and 42 of Annex 13. Do the MHRA issue certificates of eligibility for transitional IMP QPs? Confirmation that a transitional IMP QPs has been assessed as being suitable and eligible to act as a QP at a given site can be verified by referring to list of authorised personnel within the appropriate MIA(IMP) licence. Eligibility certificates for transitional IMP QPs were not previously issued by MHRA, however as a result of changes under the Clinical Trials Regulation 536/2014, a scheme is being introduced to reassess and issue eligibility certificates to transitional IMP QPs who continue to meet the requirements set out in Article 61 of the CT Regulation. Paragraphs 33 and 42 of Annex 13 of the Orange Guide allow for some packaging and labelling to take place after QP certification. Under what circumstances is this permissible and what are the GMP expectations? application of a protocol number. It should, in the first instance, be done at a site with an MIA(IMP) unless the risk to the quality of the product is unacceptably elevated by any required transportation back to this site. The level of assurance of product quality should not be less than if this labelling were performed prior to QP certification. NOTE: Such labelling should not effectively incorporate allocation of doses against a randomisation code. It is important that allocation takes place before this to ensure adequate QA scrutiny and QP confirmation and to ensure that staff applying such post certification labels are not accidentally unblinded. the certifying QP should be aware of the post certification process and be satisfied that the elements described above are in place. Although further QP certification is not necessary, some oversight is expected and some assurance should be gained (e.g. by sampling of records) to confirm that the process is being carried out correctly. If conducted at an investigator site the sponsor is responsible for ensuring that the activity is carried out in accordance with GMP, and the advice of the QP should be sought in this regard. the process should be covered by normal quality system elements such as change control and non-conformance management. 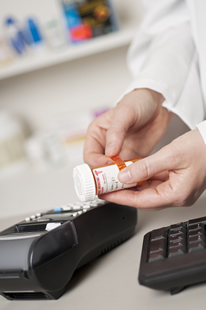 What is the MHRA view on medication pooling? Medication pooling is the production of IMPs which may be used in a number of clinical trials and which are left in a "generic" state until after QP certification. This would usually be by leaving a space for the protocol number to be added at the point of dispensing, or where multiple protocol numbers are on the label with the others being deleted at the point of dispensing. Only after certification is it decided which protocol the particular IMPs are destined for, this is when it is being dispensed to the patient. This is acceptable as long as the QP certification is against all of the possible clinical trials which may use the IMPs, the protocol number is added to the IMP doses prior to release to the trial, and the GMP points outlined in Q23 (above) are considered. What is the expectation for QPs in relation to non-investigational medicinal products? Non investigational medicinal products (NIMPs) are not IMPs and so the legislative requirements of Directive 2001/20/EC and SI 2004/1031 as amended do not apply to such products. There is therefore no requirement to source such products from a site holding an MIA(IMP) or for QP certification of the product. There is an expectation for the Sponsor to ensure that NIMPs are of the necessary quality for human use. Further guidance on sourcing NIMPs is included in Volume 10 Clinical Trials Notice to applicants. The above information will remain the MHRA’s position until such time that the Clinical Trials Regulation 536/2014 becomes effective. After this time, NIMPs will be referred to as Auxiliary Medicinal Products (AMPs) and different manufacturing requirements will apply therefore it is important to maintain current knowledge of changes and implementation dates. Links to associated documents are: Eudralex Vol 10 and Clinical Trials Regulation 536/2014. Provided it is considered that the safety, quality and efficacy of a batch of IMP have not been compromised, does a QP have any discretion to certify that batch as suitable for release even if it does not meet the specification in the Clinical Trials Authorisation? There is no such discretion available to a certifying QP. However, if a batch is manufactured and does not meet the authorised specification then a substantial amendment to alter the specification may be submitted to the Clinical Trials Unit (CTU) provided it is deemed that safety, quality and efficacy are not compromised. If required an expedited review may be requested via the Clinical Trial Helpline. excellent Blog - clear and concise. Dear Alan, thank you for your blog very helpful. I have a question about Storage and Distribution of IMPs. Inside the EU, should the Storage and Distributor site hold the Manufacturing Authorisation as described in Article 40 of Directive 2001/83/EC1? Question 8 from this post actually covers MHRA’s requirements for storage and distribution of IMPs if this is to be an independent activity. In practice, storage and distribution sites selected by Clinical Trial Sponsors for this activity generally hold either an MIA(IMP) or a WDA(H) in support of their other activities which provides the Sponsor with appropriate confidence that the distribution of their IMP will be managed appropriately.